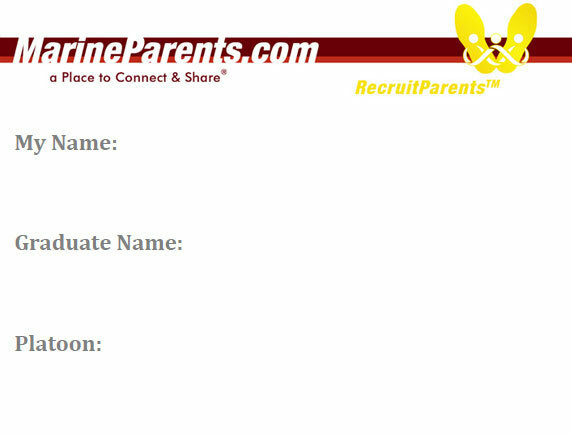 At your Marine's graduation, if you would like to identify yourself as a visitor and participant to www.MarineParents.com web site, you can print a www.MarineParents.com Badge to wear. You've earned it and you can meet other parents who have visited the site, contributed to the site, and shared in Official MarineParents.com Facebook Groups. 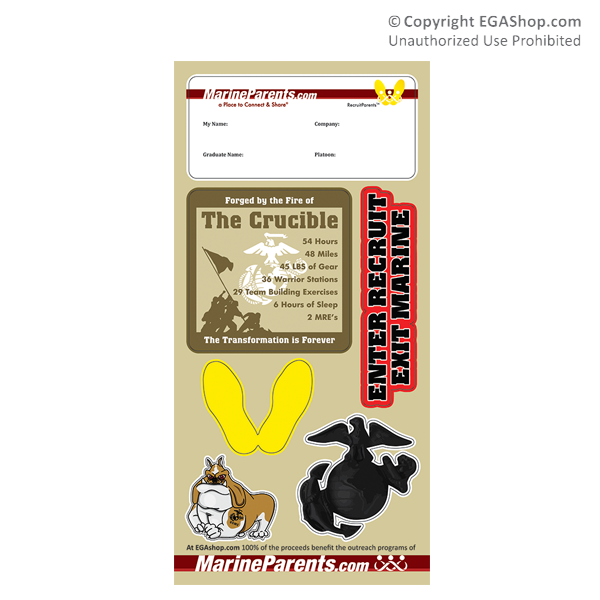 At the EGA Shop, 100% of the proceeds benefit the outreach programs of MarineParents.com, Inc.
Sold in single sheets. Stickers are acid- and lignin-free. Unique set of stickers from MarineParents.com. These Marine Corps items come in a variety of sizes and colors and will be a great addition to pages throughout your recruit/Marine's scrapbook to document the journey from recruit to Marine. Offered ONLY at the EGA Shop. These are great for scrapbooking and documenting your son or daughter's completion of bootcamp, and also great for decorating your crucible candle! 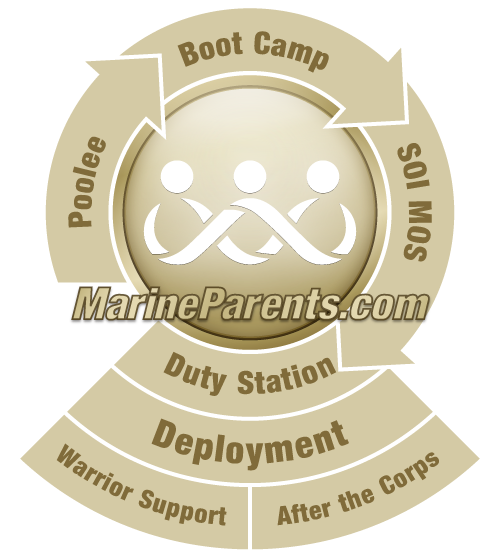 The stickers also include a name tag that you can wear to boot camp graduation, so you can easily find other parents that were in the Official MarineParents.com Recruit Facebook groups with you!